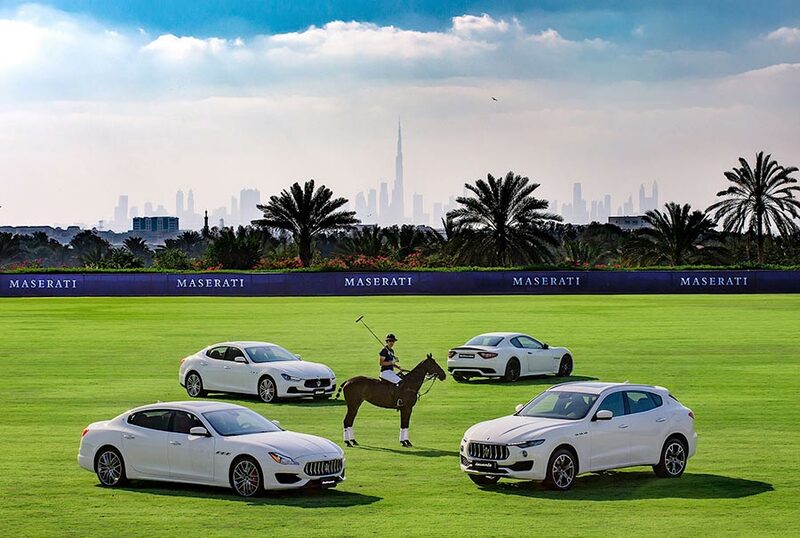 Maserati Polo Tour announced the return of its Dubai edition with the Maserati Dubai Polo Trophy 2017 for the second consecutive year. Dubai will be the second destination of the tour that kicked off in St. Moritz in January. The Maserati Dubai Polo Trophy will be held at Desert Palm Polo Club from 11 to 17 of March 2017. As a special highlight, HH Sheikh Falah bin Zayed Al Nahyan’s polo team, Ghantoot Polo Team, will be participating along with five other teams: Maserati, Abu Dhabi, Al Tayer Motors, AES International, and Leica. The teams will be featuring both amateur and professional players, including some of the biggest names in the Polo scene from the United Arab Emirates, Saudi Arabia, United Kingdom and Argentina. Among the event’s highlights, Maserati will showcase its entire model range: the flagship Quattroporte, the executive sedan Ghibli, the sporty GranTurismo and GranCabrio as well as Maserati’s first-ever SUV, the Levante. The Maserati Polo Tour was first established in 2014 to celebrate the 100th Anniversary of Maserati and it has been aaccompanied by the successful partnership with the world’s leading supplier of polo equipment, La Martina.